Earning a master's in accounting online makes it possible to obtain in-demand certifications such as the certified public accountant (CPA) credential. Master's programs also expand accountants' skills, allowing students to specialize in areas such as auditing, fraud examination, or managerial accounting. In addition, a graduate degree in accounting opens up many career paths that offer above-average salaries and strong career growth. For example, the Bureau of Labor Statistics (BLS) reports that accountants and auditors earn, on average, nearly $70,000 a year, and project that both professions will see faster-than-average growth by 2026. Walden’s online Master’s in accounting explores advanced accounting principles to help improve your analytic and financial decision-making and prepare you to address today’s accounting challenges. Currently, Walden is offering a $2,000 grant! Tailor your program to fit your professional goals with our online self-designed MBA degree. Create your own focus with courses in accounting, finance, and more. Maryville University offers tons of scholarship opportunities with over $51 million in financial aid distributed last year! Graduate in as few as 10 months and apply with no GRE or GMAT! By earning a master's degree, accountants increase their employment opportunities and competitiveness on the job market. This article introduces the best online master's accounting programs, provides guidance on choosing a specialization and building professional skills for the job market, and lists resources to help accounting graduate students find jobs and transition into the workforce. Should I Get a Master's in Accounting Online? Professionals who earn an online master's in accounting enjoy a wide variety of employment opportunities and increased earning potential. During a master's program, students complete specialized coursework in concentrations such as public accounting, managerial accounting, auditing, or government and nonprofit accounting. They build valuable professional skills like financial record examination, tax and report preparation, and investment growth forecasting. Many accounting programs may include a capstone or final project, which allows students to synthesize and demonstrate their knowledge. In addition, a master's degree fulfills the educational requirements for several high-demand careers and certifications which can greatly increase candidates' marketability. 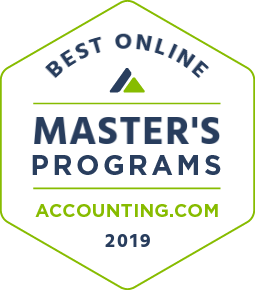 Many schools that offer a master's in accounting online also provide professional networking opportunities, internship connections, and job placement assistance. Graduate students who complete fieldwork, internships, or residencies may build additional industry contacts and increase their professional network even further. Before applying for programs, prospective graduate students should consider both online and on-campus accounting programs. Some candidates, particularly those moving directly from undergraduate study into a graduate program or those with a strong local accounting program, may prefer an on-campus option. An online accounting degree is ideal for working professionals, students with families, and learners unable to relocate for school. An accredited online program upholds the same rigorous standards of an on-campus degree while offering greater accessibility for students. Can I Get an Accounting Degree Online? Yes. More and more students choose to pursue their master's degree in accounting online, seeking flexibility and accessibility. Distance education may particularly benefit working professionals. Is an Online Accounting Degree Worth It? The Center on Education and the Workforce reports that professionals who hold a graduate degree in accounting earn, on average, $22,000 more each year than individuals with only a bachelor's in accounting. Are Online Accounting Degrees Respected? Yes; online programs adhere to the same rigorous standards as on-campus programs and grant the same diploma. Online degrees from accredited institutions also meet all standards for certification and licensure, including the CPA exam. Is an Online Accounting Degree Right for Me? An online program benefits self-directed, driven students; particularly those balancing school with work or family responsibilities. Many programs also offer services to help online students earn a degree. What Can I Do With an Online Master's in Accounting? A master's in accounting online qualifies graduates to work in all areas of accounting, including as certified public accountants. Because the CPA credential requires 150 credits, a master's degree meets the exam's education prerequisite. A master's in accounting provides critical training for a variety of career paths in the financial sector. Accounting graduates also work as auditors, budget analysts, and financial analysts, depending on the concentration they select during their graduate program. Learners who specialize in managerial accounting, for example, qualify for chief financial officer positions. A master's may also allow accountants to teach at the college level. Accountants: Accountants prepare financial records, file taxes, and review financial documents. They create and review corporate accounting procedures, and some offer advice on tax strategies. Accountants work in private practice, in the public and private sectors, and some candidates with a master's in accounting choose to pursue the CPA credential. Auditors: Auditors examine financial reports to identify problems or inaccurate information. They work both internally, reviewing their own company's financial documents, or externally. Auditors ensure that organizations pay taxes, uncover financial misuse, and identify ways to increase efficiency or profits. A master's degree qualifies auditors for advanced or management positions. Budget Analyst: Budget analysts review an organization's budgets, make recommendations about spending, and advise companies on their financial management. They design budget plans, oversee spending, and forecast future needs to help organizations run smoothly. Budget analysts with a master's degree often pursue advanced positions. Financial Analyst: Financial analysts review financial records and monitor economic conditions to provide investment recommendations. They may oversee investment portfolios for a corporation or individual clients, or analyze investment performance to forecast future earnings. Candidates with a master's degree qualify for many high-level positions in the field. Chief Financial Officer (CFO): CFOs create goal-based financial strategies for organizations. They oversee companies' financial health and create plans to strengthen their organization's financial position. Most CFOs hold a background in managerial accounting. Individuals who wish to earn a master's in accounting online enjoy a wealth of programs and schools to choose from. However, some prospective students find the process of narrowing down their options overwhelming. By considering several key factors, such as cost, location, and degree length, candidates can easily identify the best programs for their career goals and interests. Many students start by researching program costs. While the cost of a master's degree varies, attending a public, in-state school is usually the most affordable option. Scholarships, tuition reciprocity programs, and fellowships may make out-of-state schools more affordable. For example, some public schools offer in-state tuition rates or discounted tuition to residents of neighboring states. Some programs may also offer tuition discounts to online students. Even when considering a master's degree in accounting online, school location may make some programs a better fit than others. In-state programs often fulfill state CPA licensure requirements for CPAs. Prospective students considering a traditional, on-campus degree may wish to research the best master's in accounting programs, while working professionals and those with family obligations might prefer the flexibility of an online program. Graduate students who want to complete their degree in as little time as possible should research accelerated options. Alternatively, busy students may prefer the option of pursuing their degree part time. While exploring potential programs, candidates should also check to see which schools offer their desired specialization, and carefully examine each program's accreditation status. By earning accreditation, colleges, universities, and programs demonstrate their commitment to academic excellence. Independent, nonprofit accrediting agencies review institutions to ensure that they follow the best educational practices, offer strong student learning outcomes, and uphold rigorous graduation standards. Accreditation thus acts as a marker of academic quality. Regional and national accrediting agencies review colleges and universities, while programmatic accrediting agencies focus specific programs or academic departments, such as teacher training programs, social work degrees, or counseling curricula. Many accounting programs receive programmatic accreditation through their university's business school. Three agencies offer business school accreditation: the Association to Advance Collegiate Schools of Business (AACSB), the Accreditation Council for Business Schools and Programs (ACBSP), and the International Accreditation Council for Business Education (IACBE). To ensure that their degree meets all certification and licensure requirements, prospective students should select a regionally accredited institution and programmatic accreditation from AACSB, IACBE, or ACBSP. During the admission process, master's accounting online programs evaluate applicants according to their academic strengths, professional experience, and potential for success. This is usually done by examining a candidate's admissions materials, such as transcripts, letters of recommendation, and test scores. Nearly all programs expect applicants to hold a bachelor's degree, with some requiring non-accounting majors to complete prerequisite undergraduate courses in accounting. Prospective students may need to fulfill certain course requirements before gaining admission. Every program sets different admission requirements and application materials, and applicants should carefully research deadlines and required paperwork for each potential school. For example, some online programs request that candidates provide a statement describing their career goals, or assign an admissions adviser to walk applicants through the process. You should plan to spend several weeks preparing your application materials, particularly if you are applying to multiple schools. Bachelor's Degree: Most master's programs expect incoming students to hold a bachelor's degree in accounting or a related subject. Some only accept accredited degrees. Minimum GPA: Accounting programs often set a minimum GPA for admission; typically, a 3.0 GPA or higher. Some schools grant provisional admission to students who do not meet the minimum. Application: A graduate school application usually asks students about their educational background, professional experience, and other relevant information. Applicants may to submit an essay or purpose statement concurrently with their application. Transcripts: Nearly every school requests official undergraduate transcripts and, when applicable, any graduate-level records. Transcripts are used to determine whether students have met all prerequisites for admission. Letters of recommendation: Many programs request two or three letters of recommendation which describe the candidate's qualifications, capabilities, and character. Applicants should give their letter writers at least three weeks' notice to prepare. Test Scores: Accounting programs often include standardized test scores in their required admission materials. Most accept results from the GRE or the GMAT. Application Fee: Schools typically charge an application fee to cover the cost of reviewing admission materials. Qualifying students may contact their prospective program to request a fee waiver. What Else Can I Expect From an Online Master's in Accounting Program? A master's in accounting online curriculum often includes concentrations, or specialized academic tracks, which help candidates prepare for specific career paths after graduation. This section covers concentrations, curriculum offerings, and other important information to help graduate students get the most out of their program. The professional resources listed below can aid graduates' transition into the workforce. Auditing: An auditing concentration trains students to identify financial and accounting risks and create plans that address those problems. Auditing students learn to review financial documents, ensure compliance with laws and regulations, and assess accounting policies. This specialization provides the tools required to work in internal and external auditing. Financial Accounting: Students pursuing a financial accounting concentration learn to collect and evaluate data related to an organization's financial status. Coursework trains candidates to identify trends, forecast financial needs, and create financial statements. The concentration also covers industry standards and guidelines for reporting procedures. Forensic Accounting: Also known as a forensic auditor concentration, this specialization introduces strategies for uncovering fraud. Lectures may address different industries, such as insurance forensic accounting or legal forensic accounting. Many graduates go on to pursue jobs as certified fraud examiners. Government Accounting: A government accounting specialization is intended for those interested in public sector accounting jobs. Coursework often covers budget management, financial reporting according to laws and regulations, and transparency in government accounting. Students may also study procedures for working with the IRS, Securities and Exchange Commission, or the Government Accountability Office. Management Accounting: With a management accounting concentration, graduate students study the financial and accounting principles required to operate a business. Course content teaches candidates to create internal financial processes, monitor costs and budgets, and conduct internal audits. Management accounting students also learn to forecast company financial needs and use financial information to make decisions. Public Accountant: Graduate students who select a public accounting specialization learn to create income tax returns for businesses and individuals. They explore the financial record review process and produce financial statements. This concentration sometimes addresses accounting regulations, special considerations for nonprofits or small businesses, and valuable skills such as auditing and consulting. Each online master's in accounting program features a unique curriculum with different specializations and focus areas. Some programs may also offer elective courses in areas such as forensic accounting, fraud accounting, and taxation. The sample curriculum below describes some of the most common courses offered during an accounting master's degree. Financial Accounting: A financial accounting course introduces the advanced accounting theories, tools, and concepts that all financial professionals use on a daily basis. Lectures often cover decision making using accounting analysis, preparing financial statements, and interpreting accounting reports. Financial Reporting: This course provides a broad survey of the rules and regulations that govern financial reporting. Learners may explore the acquisition and disposition of goods, stock, and property; intangible assets; and stockholder equity. Coursework may also train students to report investments, pensions, benefits, and cash flow statements. Managerial Accounting: Managerial accounting classes teach graduate students to prepare financial information and use their findings to make business decisions. Candidates explore forecasting and budget planning, cost classifications, and performance measurement in the services and manufacturing sector. Auditing: Auditing courses cover the theory and practice of conducting an audit. Most auditing classes introduce students to internal and external auditing procedures, with an emphasis on identifying accounting problems, reporting findings, and following ethical guidelines. Coursework may include training on auditing or accounting procedures. Tax Planning: In a tax planning course, accountants learn to prepare individual and business taxes, study tax regulations, and learn about different taxation structures. Lecture topics may include the American tax system, methods of tax planning and preparation, taxation for sole proprietorships, and benefits and investment asset taxation. How Long Does It Take to Get an Online Master's in Accounting? Most master's programs in accounting require 30 to 36 credits, which most full-time students can complete in approximately two years. In order to meet CPA educational requirements, candidates must complete 150 credit hours in the field, which can typically be fulfilled by earning a bachelor's degree and a master's degree in accounting. A degree may take additional time depending on program requirements, such as internships or capstone research projects. Students who choose an accelerated program option or transfer credits from other institutions may be able to complete their degree in less time. Some accelerated programs allow students to earn their degree in as little as 12 to 18 months. Working professionals or students with family obligations may prefer a part-time option, which can take two to three years depending on the program's structure. Typically, a program's total cost depends on the number of required credits, rather than how quickly graduate students complete the degree. How Much Is an Online Master's in Accounting? The cost of a master's in accounting online varies according to program and school. In general, in-state, public schools charge the lowest tuition rates, followed by out-of-state public and private institutions. However, several other factors affect total degree cost, including the number of required credits, any tuition discounts, and additional fees, technology costs, and living expenses. For example, two programs with the same tuition rates may result in different total costs if one degree requires 30 credits and the other requires 40. Master's students should budget at least $10,000 a year to cover their degree and related expenses, including books and technology. There are many ways to lower costs and reduce educational expenses. Some public universities offer reciprocal in-state tuition rates to residents of neighboring states, while other programs provide discounted tuition for distance learners. Choosing an online accounting master's program may save additional costs related to commuting, parking, and childcare. Some students prefer the flexibility of online programs, which allow them to work and pay for their degree while they study. Scholarships, grants, and fellowships can also decrease the cost of an online master's of accounting degree. Certified Public Accountant: One of the most in-demand certifications in accounting, the CPA credential requires a rigorous examination offered by the American Institute of CPAs (AICPA). Candidates must pass the four-part exam before applying for a state CPA license. The credential translates into increased earning potential, with CPAs earning 10% more than non-certified accountants. Certified Management Accountant: Management accounting specialists can receive the CMA credential by meeting the educational requirements and passing an exam. Offered by the Institute of Management Accountants, a master's in accounting plus relevant work experience meets the prerequisites for the certification. Certified Fraud Examiner: In order to become a CFE, candidates must pass an examination. Applicants with a master's degree should also possess one year of relevant work experience. The Association of Certified Fraud Examiners (ACFE) offers the credential, and passing qualifies professionals for full membership in the ACFE. Certified Government Auditing Professional: Government auditing professionals demonstrate their proficiency with the CGAP credential. Offered by the Institute of Internal Auditors, candidates who hold a master's degree must also show one year of professional experience before passing an examination. Certified Bank Auditor: Offered by the Bank Administration Institute, the CBA credential recognizes financial auditing professionals. Candidates must pass a four-part examination within three years of applying. Applicants who earn a master's degree are eligible to receive a work experience waiver. CBAs must complete 30 hours of continuing education each year to maintain the certification. AICPA Scholarships: The AICPA's scholarship page lists multiple funding opportunities for students earning a master's in accounting online; particularly for those planning to pursue the CPA credential. CPA Career Center: Also run by AICPA, this job board lists open CPA positions across the country. Visitors may explore career coaching resources and job openings, or upload their resumes directly to the site. Accounting and Financial Women's Alliance: Dedicated to women in accounting and finance, AFWA provides educational and career resources for graduate students, including scholarship opportunities. ACFE Career Center: Accounting students considering fraud examination can benefit from ACFE's career resources, including a job board, resume assistance, and information on fraud examination careers. The Accounting Review: Published by the American Accounting Association since 1926, The Accounting Review offers scholarly articles, news from the field, and book reviews geared toward accounting professionals. Students earning an online accounting master's degree and recent graduates alike can benefit from joining professional organizations. Many of these groups provide career services such as job boards, mentoring opportunities, and resume advice. Professional organizations like the AICPA offer members-only scholarship opportunities and guidelines for earning certifications like the CPA credential. These organizations also help professionals network, complete continuing education requirements, and stay current on accounting news and research. American Institute of CPAs: This organization offers the CPA exam and provides professional development resources and career support for current and future CPAs. The group also sponsors several scholarships. National Society of Accountants: NSA brings together accountants and tax specialists, offering members publications, events, and resources related to taxation. Members may also join NSA's directory of accountants. The American Accounting Association: An academic organization for accountants, this association publishes three journals and offers members exclusive career resources. American Association of Finance and Accounting: With a focus on recruitment and staffing, AAFA helps companies locate finance and accounting professionals. Job seekers can post their resumes and find employment opportunities on the AAFA website. International Federation of Accountants: A global organization with nearly three million members, IFAC publishes accounting news from around the world, posts research and professional development resources, and sets professional standards. What Are the Best Online Master's in Accounting Programs? The following online accounting master's degrees are offered in fully online and hybrid formats. Using our proven methodology, we have ranked the top programs known for producing qualified accounting experts. Here are the best online master's in accounting for 2018. 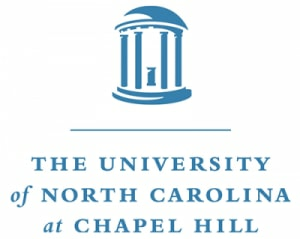 Kenan-Flagler Business School is an award-winning division of UNC‘s Chapel Hill campus. Its master of accounting (MAC) program is offered to both traditional students and distance learners. One of the best online master's in accounting, this program begins with a required week-long orientation and leadership immersion on campus where students kick off the program, earn credit, and network with Big 4 and middle-market firm representatives. All other coursework is conducted online. The program's 45-hour core curriculum covers basic accounting principles with financial analysis, quantitative methodology, behavioral sciences, and leadership skills. While there are no other requirements to appear on campus, distance learners are welcome to participate in campus-based recruiting interviews in September, as well as an optional internship experience that runs from January to March. Lectures, reading, and assignments are done asynchronously, while class discussions with professors are conducted in real time via livestream technology. This competitive online master's in accounting program also admits non-accounting majors who have taken at least 12 credit hours of accounting courses. Degree candidates who lack proper prerequisites will have these classes added to their program, lengthening their time to completion. Most students complete the degree in 15 to 24 months, though candidates may take 36 months to finish if necessary. Classes begin in June and December of each year. Established in 1867, UI maintains a long-established reputation as a preeminent leader in higher education. With a nationally recognized academic library, a research park known for launching several startup companies, and the fastest supercomputer on a college campus, UI provides a fertile environment for innovation. UI offers a master's in accounting online focused on developing cutting-edge analytic capabilities and outstanding leadership skills. With an emphasis on hands-on practice, the program delivers coursework entirely online. Students complete 32 credits within 18-36 months, including at least 20 credits in accounting and four credits of non-accounting coursework. Services for online students include free synchronous online writing assistance and workshops. The school maintains a rolling admissions policy; applicants must provide GRE or GMAT scores. Students interested in earning additional credits toward the minimum required for the certified professional accountant (CPA) exam may also complete coursework without applying for formal admission to the program. UI holds accreditation from the Higher Learning Commission. At UT Dallas, aspiring accounting professionals have the opportunity to customize an online master's in accounting according to their career interests. The MS in accounting, which is available wholly online, offers a broad spectrum of core and elective classes in accounting and business. The 36-hour MSA is composed of 12 hours of business core courses and nine hours of accounting core courses. Remaining credit hours are chosen from an exhaustive menu of elective courses; available options include an on-site internship or CPA review classes. UTDallas' master's in accounting online is designed for working students, and the program can be completed at a pace that suits the individual student. Most MSA candidates finish in 18 to 36 months. Applicants ideally hold a bachelor's degree in accounting, but all majors are considered for admission. If necessary, graduate-level prerequisite courses may be required before beginning the program curriculum. Distance learners at UT Dallas manage classwork via the Blackboard learning management platform, and classes follow a semester calendar. All study is asynchronous. Interested students should be aware that Texas law requires that 15 hours of the MSA degree must be completed on campus to qualify a graduate for Texas CPA eligibility. Students in other states may be eligible to sit for the exam, but should check with their state's Board of Public Accountancy. UConn‘s business program, which boasts accreditation by AACSB International, offers a customizable online master's in accounting degree program. This master of science (MS) in accounting degree can be earned entirely online and tailored to each student's career interests. Curriculum consists of one required course of foundational study in either taxation, financial accounting, or managerial accounting. The remaining nine courses are selected from a comprehensive list of special topics within the industry, including advanced assurance services or accounting and disclosure for not-for-profit entities. While all courses are conducted online, the program begins with a required four-day in-residence course on the Storrs, Connecticut campus. This class is only offered in May. Distance learning at UConn is primarily asynchronous, though some professors do require occasional synchronous activities. This master of accounting online program is designed to be completed by a full-time student in eight months, while part-time curriculum can be completed over several semesters. All graduates, regardless of time to completion, will have meet state requirements to sit for the CPA exam. Founded in 1901, GGU provides rigorous business education focused on management, law, accounting, and taxation. With satellite locations in Silicon Valley and Seattle, GGU ranks among the nation's leading private, nonprofit educational institutions preparing students for ambitious professional careers. GGU offers an https://www.ggu.edu/programs/accounting/master-of-accountancy that requires 45 credits; most students complete the program within 2-4 years. Requirements include 33 core credits and 12 additional credits in one of five concentration areas: taxation; financial accounting and reporting; forensic accounting; internal auditing; and management accounting. The school maintains a notable commitment to providing services for online learners, including individualized tutoring and access to a student services adviser to help with course selection and career planning. Online students also receive significant job search support, including career fairs and networking events at the San Francisco campus. GGU holds accreditation from the Western Association of Schools and Colleges. Founded in 1917 and based in Waltham, Massachusetts, Bentley provides professional educational preparation for business careers. Located in an economic hub renowned for its startup culture and large thriving companies, Bentley ranks among the leading business schools in New England. Bentley offers a customizable 30-credit online accounting master's program. Students complete 10-13 courses, including four core courses, two accounting electives, and up to four unrestricted electives. Elective course options include international dimensions of accounting, tax factors in business decisions, and a research internship. Prerequisite foundation courses for admission include managerial statistics, financial statement analysis, and business economics. Students with an appropriate background may waive the foundation coursework requirements. Students may also enroll in an 18-month accelerated online program. Admission requirements include a GRE or GMAT score, though the program waives this requirement for qualified students. Bentley holds accreditation from the New England Association of Schools and Colleges. Bentley's accounting program holds accreditation from the Association to Advance Collegiate Schools of Business. An online school founded in 1996, WGU awards all degrees based on demonstration of practical competencies. Incorporating industry-driven design of online master's programs, accounting courses at WGU reflect the school's collaborative approach with employers. WGU's online master's in accounting requires 10 courses, including a capstone project. Students must complete at least eight units per six-week term, and graduate within 12-27 months. Designed for experienced working professionals, the program delivers all classes asynchronously. The curriculum helps prepare students for the most highly regarded industry credentials, such as the CPA and certified internal auditor (CIA) exams; it also meets the 150-hour requirement for exam candidates in most states. WGU does not require students to complete assignments on a specific schedule, enabling learners to set their own pace. WGU holds accreditation from the Northwest Commission on Colleges and Universities, and the accounting program holds accreditation from the Accreditation Council for Business Schools and Programs. Auburn hosts one of the nation's top online accounting master's programs. Though the curriculum totals 30 credit hours, only 12 of them are considered core courses. Students complete the program with 18 credit hours of classes that focus on specialized topics like advanced investing, IT auditing, advanced business law, and more. While coursework is conducted online, all degree candidates are required to attend a two-day residential course in late April, shortly before concluding the program. Students spend this this Auburn MAcc Leadership Summit attending leadership workshops, seminars, and networking events. Admission to Auburn's master's in accounting online is competitive, and requires an undergraduate business degree, prior academic performance, and excellent GMAT scores. Online learning at Auburn may be synchronous or asynchronous, depending on the student's preference. Campus classes may be live-streamed for online viewing; they are also recorded and immediately made available for later study. Exams must be proctored, however, and students are expected to arrange proctoring within the school's parameters. Working students generally finish the MAcc within two years, while full-time students can complete the program in 12 months. All graduates are fully eligible to sit for the Alabama CPA exam. As the state's largest university and an established leader in business education, MU focuses on developing leadership rooted in diversity, inclusion, and respect. Founded in 1839, MU ranks among the nation's top research schools, known for its nuclear reactor research, university-owned television network affiliate, and on-campus academic health center. The school's master's accounting online program requires 30 credits which students complete over a minimum of three consecutive semesters. Most students graduate within 1-3 years. Admission requirements include GMAT or GRE scores and candidate interviews; students currently employed in accounting may waive some of the admission requirements. Online students benefit from access to professional development workshops, internship and job search assistance, and invitations to attend on-campus job fairs. The school also boasts higher than average pass rates for the CPA exam. MU holds accreditation from the Higher Learning Commision, and its accounting program holds accreditation from the Association to Advance Collegiate Schools of Business. Part of the University of Alabama System, UAB maintains a vibrant urban campus recognized as the largest research organization and employer in the state. With an emphasis on diversity and socially conscious education, the school also receives accolades for its research and community engagement. The school's fully online master's in accounting requires 30 credits; students working at an accelerated pace can complete the degree in five semesters. Core courses include corporate governance, business law, and taxation. Students can choose up to nine credits of electives. The school also maintains a flexible policy for transfer credit, and offers a 24-credit bridge program for students with an undergraduate degree in a discipline other than accounting. Services for online students include around-the-clock technical support. UAB holds accreditation from the Southern Association of Colleges and Schools, and its accounting program holds accreditation from the Association for the Advancement of Collegiate Schools of Business. Established in 1925 and based in Coral Gables, Florida, UM boasts a prime location in a city renowned for its multiculturalism, sustainability, and LGBTQ+-inclusive culture. As a major private research university with three campuses in the county, the school takes pride in its community engagement and culture of belonging. The school offers a rigorous master's in accounting online. Most students complete the degree within 16-20 months, depending on whether they select the CPA track, 40 credits, or the non-CPA track, 32 credits. Students take one seven-week class at a time, and may select one of four customizable options tailored to their career goals and interests. The CPA track requires 10 courses and 20 months to complete, while the non-CPA track requires eight courses and takes 16 months. Candidates for admission may receive a GRE or GMAT waiver. UM holds accreditation from the Southern Association of Schools and Colleges, and the accounting program holds accreditation from the Association for the Advancement of Collegiate Schools of Business. Professionals with and without prior formal training in accounting are eligible for Syracuse‘s online MS in professional accounting program. The 30-hour core of this online master's of accounting degree emphasizes the specialized skills required of professional accountants, such as forensic analysis, international accounting and reporting, and fraud examination. Elective credits focus on career-specific topics like supply chain management, venture capital, or corporate financial strategy. Though individual course plans vary, Syracuse offers this program in three iterations. The 12-month accelerated master in accounting online is designed for motivated students with a solid foundation in accounting. This program's coursework is a blend of weekly live-streamed synchronous class and asynchronous study. Classes are 12 weeks in length. Alternatively, a 15-month option is suggested for students who intend to work full-time while completing the program. Finally, students who lack foundational training in the field may take any necessary prerequisite courses; typically, two to six classes are required. Students who follow this path generally finish within 24 months. All graduates of this program are eligible to sit for the CPA exam in New York and other applicable states. Online study at Syracuse is structured to mimic popular social media networks, and is designed to facilitate networking opportunities among students and faculty. Though many top online accounting master's programs are available, Rutgers University offers the only one that focuses on the governmental side of the industry. Rutgers' master of accountancy in governmental accounting is ideal for aspiring CPAs preparing for the NJ licensing examination, practicing CPAs employed by government or non-profit organizations, professionals seeking the Certified Government Financial Manager credential, and accountants planning to specialize in government financial management. The program's curriculum examines the application of accounting, auditing, ethics, and business management skills within the governmental and nonprofit sectors. All courses in this AACSB-accredited program are delivered exclusively online, and study is asynchronous. Admission to Rutgers' master's program is competitive, and restricted to applicants who hold accounting or business undergraduate degrees. Non-accounting majors must add two prerequisite courses to the 30-hour curriculum. Rutgers also offers an online dual degree option, combining the master of accountancy with a master of public administration. In addition to advanced skills in governmental accountancy, students in this program develop expertise in public administration management. By combining these two programs, students can save 12 credit hours. All courses are delivered via Blackboard, classes follow a semester calendar. Rutgers does not charge out-of-state tuition fees to students who do not reside in New Jersey. Founded in 2007 and based in Greenwood Village, CSU Global serves as the first completely online state university of the public Colorado State University system solely devoted to serving the needs of distance learners. The school's online accounting master's degree comprises 30 credits, including six elective credits and a capstone. Coursework includes forensic accounting, cost accounting, and international accounting. With simplified transfer policies, credit for military training, military discounts on tuition, no student fees, and the same tuition for in-state and out-of-state students, CSU Global demonstrates its commitment to making higher education accessible. Benefits for online students include access to around-the-clock real-time tech support, live tutoring in accounting, and a state-of-the-art virtual library. Additionally, an online writing lab provides feedback within 24 hours. CSU Global holds accreditation from the Higher Learning Commission, and the accounting program holds accreditation from the Accreditation Council for Business Schools and Programs. Established in 1890 as a public research university, OU receives recognition for its prominent museums, esteemed athletic programs, and enrollment of National Merit Scholars. Recognized for its strong programs in entrepreneurship and international business, OU boasts an ongoing commitment to academic excellence in business education. OU's master's in accounting online comprises 33 credits delivered in modules of two courses each: one 16-week accounting course and one eight-week business course. Most students complete the program in less than two years of full-time study, and the program boasts a 74% pass rate for first-time CPA exam test-takers. OU offers a unique international accounting study abroad option to online students: a three-credit two-week course in international financial statement analysis, including on-site visits in London, Brussels, and Paris. Completion of the study abroad option results in a certificate in international financial reporting through the Association of Chartered Certified Accountants. OU holds accreditation from the Higher Learning Commission. 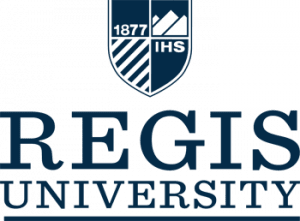 Regis is a Denver-based private Catholic college that is known for its commitment to providing excellent distance education programs. Its MS in accounting degree program is based on the same ethical principles that drive traditional Jesuit education. Degree candidates can customize the 30-credit hour curriculum to support their particular career paths as they meet eligibility requirements for CPA or CMA licensure. Regis's MSA core is composed of three classes that cover accounting ethics, financial communications, and financial analysis. Students complete the remaining 18 credit hours from a lengthy catalogue of elective courses that explore relevant topics in public, government, corporate, and nonprofit accounting. An on-site internship may be arranged at an approved location for elective credit. This master's in accounting online program culminates in a capstone business strategic planning project. Students with undergraduate degrees in any major may apply to Regis's online MSA program; non-accounting majors will be expected to take up to 18 credit hours of fundamental accounting courses, depending on proficiency and prior academic experience. Distance education at Regis is conducted through its WorldClass learning platform. Classes are delivered in accelerated eight-week sessions, and all learning is asynchronous. Students may begin the MSA program at any of Regis's six available start dates during the year. As a Catholic university established in 1920 in the Franciscan tradition, USF maintains campuses located in Joliet, Illinois, and Albuquerque, New Mexico. USF offers private higher education rooted in liberal arts, service, and leadership. The flexible, self-paced master's in accounting online at USF comprises 36 credits, including 12 credits for the accounting concentration and an experiential learning project. Coursework topics focus on international accounting, fraud examination, taxation, and financial statement analysis. Students may begin the accounting concentration for the MBA program immediately upon acceptance, and may complete the full program in 12-18 months through a hybrid option, involving both on-campus and online coursework. Students may transfer up to nine credits of previous coursework, and USF offers bridge programs and dual degree options for professionals seeking a career change. USF holds accreditation from the Higher Learning Commision and its accounting program holds accreditation from the Accreditation Council for Business Schools and Programs. Established in 1958 as a private research university with its main campus based in the Space Coast region of the state, Florida Tech offers many specialized graduate programs. Delivering its online master's of accounting entirely online and asynchronously, Florida Tech offers six start dates per year. The program comprises 36 credits of eight-week courses, including directed electives and a three-credit capstone in strategic management. Core coursework focuses on financial management; specialization options include government and nonprofit accounting, international accounting, and strategic cost management. Online students receive around-the-clock technical support, access to online library materials, and individualized on-demand tutoring through the school's partnership with smarthinking. Active duty military service members, veterans, and their spouses and dependents receive a 10% tuition discount. Florida Tech holds accreditation from the Southern Association of Colleges and Schools and the accounting program holds accreditation from the International Assembly for Collegiate Business Education. With its main campus in Boca Raton and seven campuses in south Florida, FAU maintains a vibrant, modern educational environment. Established in 1964 and recognized for its notable commitment to space research, FAU ranks among the most culturally and ethnically diverse of the state's higher education institutions. FAU offers a flexible, self-directed master's in accounting online. The program requires a minimum of 30 credits and 10 courses. The curriculum prepares students for professional examinations in accounting, including those for graduates seeking the CPA and CIA credentials. The program maintains a selective admissions policy favoring students with accounting degrees; students without a relevant bachelor's degree must complete additional foundation courses and the program does not accept transfer credits from other schools. Students must provide evidence of a minimum 500 GMAT or total 300 GRE score, plus a minimum undergraduate 3.0 GPA to maximize their chances for admission. FAU holds accreditation from the Southern Association of Colleges and Schools and its accounting program holds accreditation from the Association to Advance Collegiate Schools of Business. Established in 1865 and based in Towson, Maryland, TU maintains a large suburban campus just north of Baltimore. 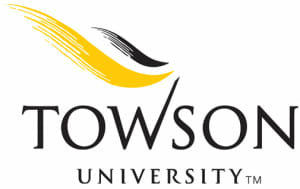 As a regional public university, Towson boasts recognized achievements in teacher training, unique e-business program offerings, and strong community outreach. Towson offers a master's in accounting online focused on business advisory services. Core coursework includes sustainability accounting, seminars on special current topics in accounting, and two courses on tax policy and taxation of entities. Students complete a three-credit graduate internship, and can complete up to six credits of independent supervised research based on their interests. The program also offers an accelerated CPA preparation course in the summer. Admission requirements include GRE or GMAT scores and a minimum 3.0 GPA for full admission, or a 2.7 minimum for conditional admission. Towson holds accreditation from the Middle States Commission on Higher Education and its accounting program holds accreditation from the Association to Advance Collegiate Schools of Business. Located in Clinton and established in 1946, MC offers a Southern Baptist-affiliated higher education environment with an emphasis on affordability and the personal connections of small class sizes. The school's master's in accounting online program requires 30 credits of coursework with a focus on accounting theory, concepts, and applications. The curriculum includes elective options, such as CPA review coursework, fraud examination, and data analytics. Students complete 15 elective credits tailored toward their interests, including six credits of general MBA electives. Most students complete the program within 1-2 years. Admission requirements include GMAT scores, though the school waives this requirement for students with a 3.0 GPA or higher. As a recipient of the prestigious Association for the Advancement of Collegiate Schools of Business accreditation, the accounting program maintains strong connections with a network of employers. Online services for students include career and internship placement assistance. MC holds accreditation from the Southern Association of Schools and Colleges and its accounting program holds accreditation from the Association to Advance Collegiate Schools of Business. Based in Fort Lauderdale, Florida and founded in 1964, NSU operates as a private nonprofit institution with programmatic offerings in technology, business, and health sciences. Recognized for its emphasis on lifelong learning, accessibility, and appreciation for diversity, NSU ranks among the state's premier research universities. The school offers a master's in accounting online with an opportunity to complete the full program within one year. Students can choose one of three specializations: public accounting, management accounting, or taxation. Designed for professionals currently working in accounting, the program comprises 33-51 credits, depending on the student's undergraduate major. Classes take place during evenings and on weekends. The program maintains robust partnerships with the industry and focuses on developing student leadership in a global context with an emphasis on social responsibility, professional ethics, and critical thinking. Students may begin the program in August, January, or May. NSU holds accreditation from the Southern Association of Schools and Colleges and its accounting program holds accreditation from the International Assembly for Collegiate Business Education. Founded in 1967 and located in Pensacola, with five additional regional locations, UWF receives recognition for excellence in athletics and space research. UWF offers an accelerated 36-credit master's in accounting online that students can complete in 16 months. Coursework covers commercial law, business analytics, and corporate taxation. The program ranks among the most affordable and military friendly programs in the state; UWF offers discounted tuition to military service members, veterans, and students employed by partner institutions. The program maintains selective admissions policies, admitting only applicants with significant undergraduate coursework in accounting, and giving preference to students with a 3.0 GPA or higher. Students with a GPA over 3.25 may receive a GRE or GMAT waiver. UWF holds accreditation from the Southern Association of Colleges and Schools, and its accounting program holds accreditation from the Association for the Advancement of Collegiate Schools of Business. Located close to the state's capital in a bustling and culturally rich urban environment, Sacramento State offers diversity and affordable education, taking pride in its commitment to public service, outreach programs for minorities, and community engagement. The master's in accounting online at Sacramento State uses a cohort structure and requires 30 credits and 18 months of full-time study, including a three-credit capstone in accounting ethics and professional responsibility. Each class spans six weeks, with synchronous meetings once a week. Instructors maintain regular synchronous office hours for online students. Students without significant undergraduate accounting experience must complete 1-7 additional credits of foundational coursework. To ensure that students can complete their degree at an accelerated pace, the program offers all courses year-round. Sacramento State holds accreditation from the Western Association of Schools and Colleges, and the accounting program holds accreditation from the Association for the Advancement of Collegiate Schools of Business.